A prison where laptops are being used by inmates to select meals and make orders to the jail shop has been praised in a report. HMP Wayland, near Thetford, Norfolk, where the governor was severely beaten by an inmate last year, was inspected by HM Inspectorate of Prisons (HMIP). It said the prison had taken part in a "digitalisation project". Inmates at HMP Wayland have also been given in-cell telephones to stay in touch with relatives, the report said. 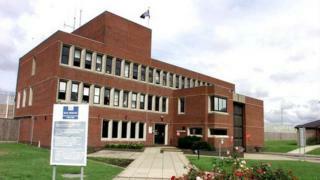 The prisons watchdog detailed how the jail, a category C facility in Norfolk holding nearly 1,000 men including more than 100 serving life sentences, has also introduced in-cell "net books", which prisoners spoke positively about. Since the previous inspection of the jail in 2013, telephones have been installed into all cells, the assessment said. It added that prisoners were "positive about this development" but restrictions had been placed on the use of the phones during the core working day in order to remove a disincentive to attend work. The inspectorate described the introduction of in-cell phones as a "positive development". Earlier this year, a Government-ordered review proposed some prisoners be able to use video-calling technology for "virtual visits". Inspectors concluded the jail was "very well led" and "generally respectful", while safety was improving. Searches had yielded high returns of drugs and illicitly brewed alcohol. So far this year the haul of contraband seized has included more than a kilo of drugs, 177 mobile phones and almost 500 litres of alcohol. Last month the prison was described as "volatile" by the Independent Monitoring Board. Governor Paul Cawkwell suffered multiple fractures when he was attacked in July 2016. At the time the Prison Service said it was addressing concerns at Wayland.